A chill has returned to the air and the first day of fall is rapidly approaching, which means many of us are thinking it’s almost time to turn on the heat. 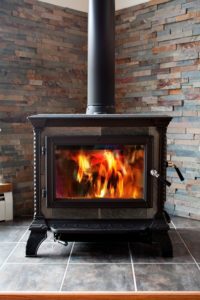 Have your chimney cleaned and inspected for any damage that may have occurred during summer storms or a prior unknown chimney fire. Cracked liners and other structural damage to chimneys can cause poisonous gases such as carbon monoxide to enter your home or creosote/soot to accumulate outside the liner, eventually leading to a chimney fire. All of these things also reduce the efficiency of your chimney. Have your oil tank and other heat sources cleaned and inspected. In Vermont, new rules outlined for aboveground storage tanks include inspections every three years, and any tanks that fail inspection will not be filled. Report any oil smell to your fuel dealer – such odor means your equipment needs servicing. Also report any suspected leaks immediately – this could be evidenced by an unexpected spike is the amount of oil used, change in taste or odor of your drinking water, or changes in the plants and grass near your outdoor tank. Change the batteries in and test your smoke and carbon monoxide detectors with the change of season (Sept. 22)/Daylight Saving (Nov. 5). According to the U.S. Fire Administration and the National Fire Protection Association, three out of five home fire deaths stem from fires in homes without working smoke detectors, and half of home fire deaths occur between 11 p.m. and 7 a.m. when most people are asleep. Alarms should be installed outside each sleeping area and on every level of the home. Move combustibles (papers, books, blankets, decorations, etc.) that may have piled up over the summer away from heat sources. These materials should be at least 36 inches away from wood stoves. Make sure furniture, curtains and blankets are not near or resting on your heat registers, and make sure all vents to the outside are also clear. If you have a wood-burning stove or fireplace, only properly seasoned hardwood firewood should be used. Unseasoned/green wood that still contains moisture burns cooler, creating a higher volume of creosote. This can lead to dangerous buildup of flammable material inside the chimney, causing structural damage and the possibility of a chimney fire. Chimney fires that go undetected can spread to the home itself. As you start to use electric blankets, decorations and more lights with the earlier nightfall and cooler temperatures, do not overload extension cords. Cords that are overloaded or coiled when in use can overheat and cause a fire or electrocution. According to Electrical Safety Foundation International, you should inspect cords for damage (cracked/frayed/bare wires, loose connections, etc.) before plugging them in and never use a cord that feels hot to the touch. Do not nail or staple a cord to the wall or floor, and do not pinch cords in windows, doors or under heavy furniture, nor through walls or ceilings. Make sure the cord is rated for your intended use and meets the needs of the appliance or device being used.